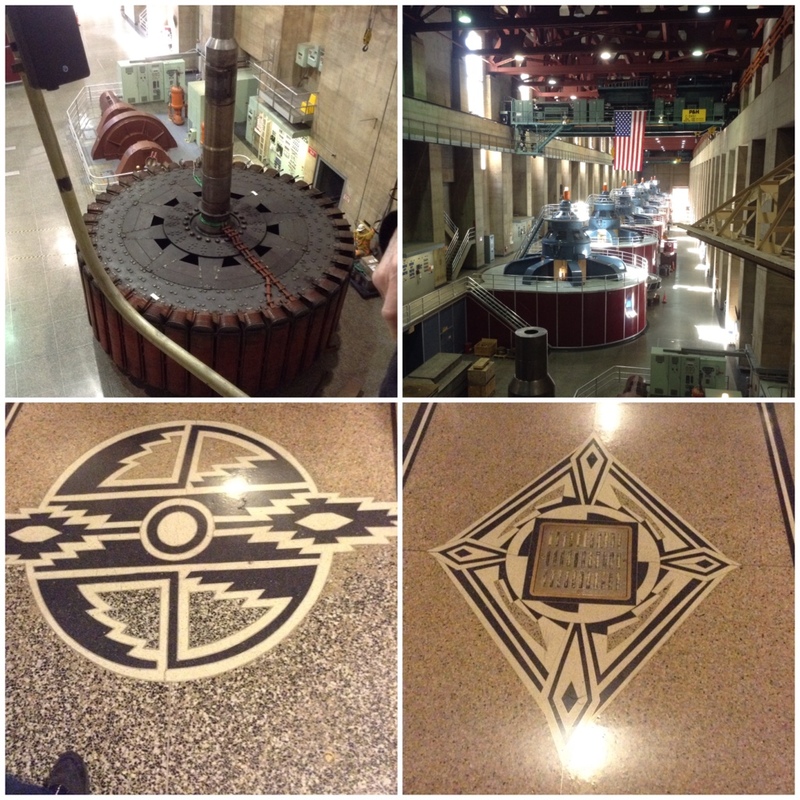 A morning spent at Hoover Dam was indeed an experience not to be missed. 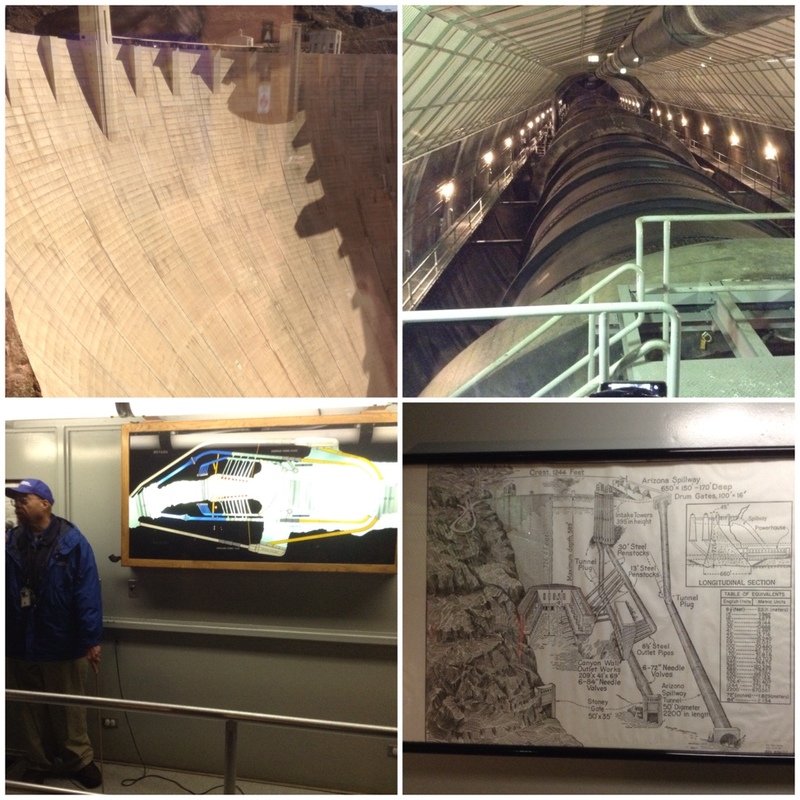 With Jack’s engineering and structural steel early years and my time spent soaking up the Cotter Dam experience as Safety Advisor, it truly was an engineering marvel and glad we got to see it! 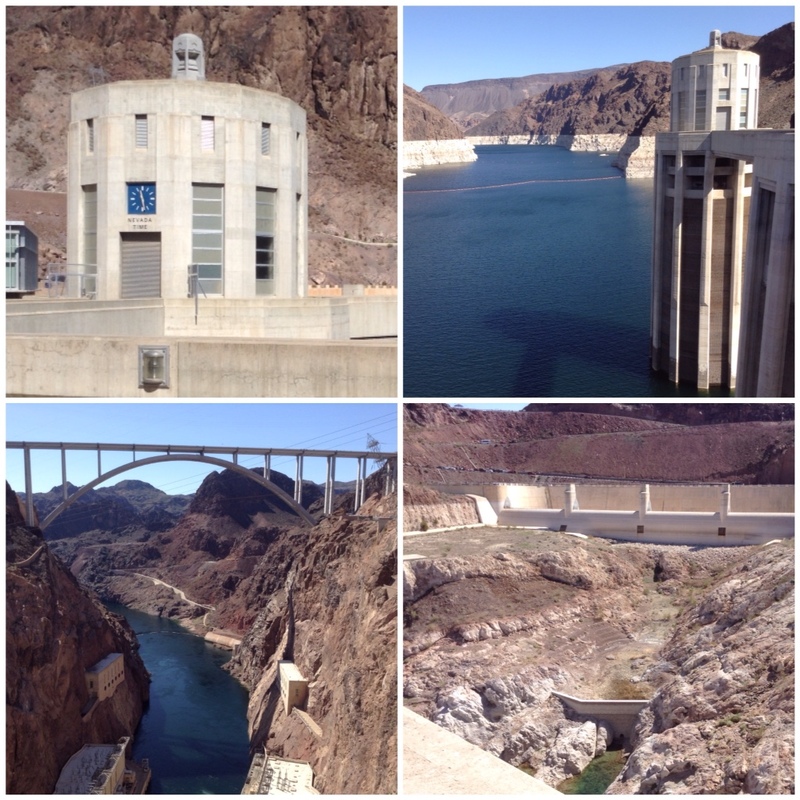 It was fantastic to see the relevance to Cotter and to understand how the Hoover Dam worked. 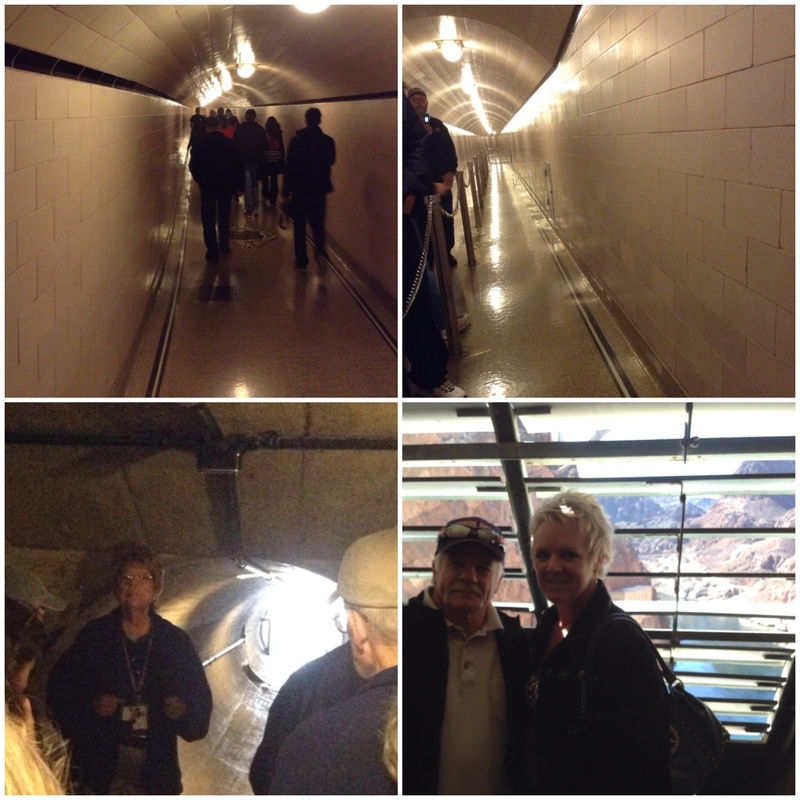 Although the ‘gallery’ in the Hoover Dam is somewhat more elaborate and had foreseen the inclusion of tourists. It’s Art Deco influences and subway tiles adorn the tunnel and is all still original, maintained but has never been replaced. Even the doors are brass and copper and the ornate designs on the granite floor are to symbolise power and water. The terrazzo flooring in 1936 cost $59k. 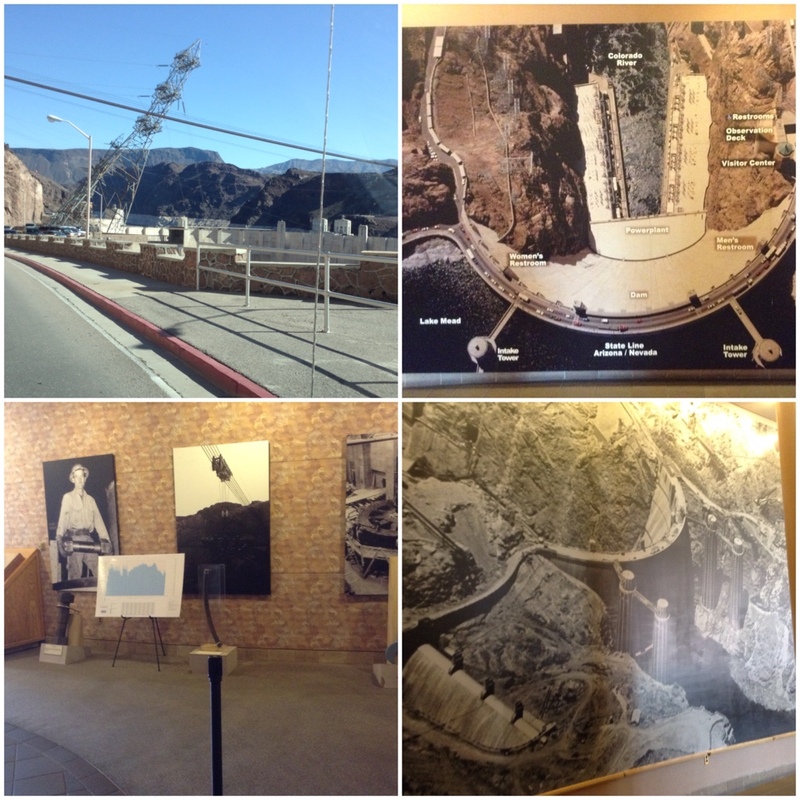 The Hoover Dam (or Boulder Dam as it was once known also) design was finalised and signed off for construction in 1931. Construction began in 1931 and the last concrete poured in 1935 – 2 years ahead of schedule! There are 17 generators in the power plant. 1 generator alone weighs 560 tonne and produces (if I heard him correctly) 130 million mega watts of power. The base of the dam is as thick as the power plant room – 660ft/201.2m in width and at the crest – 45ft/13. We took a little trip to one of the air vents which looked so small from the top to being as large as fitting 4 people in the space when you are at that level. 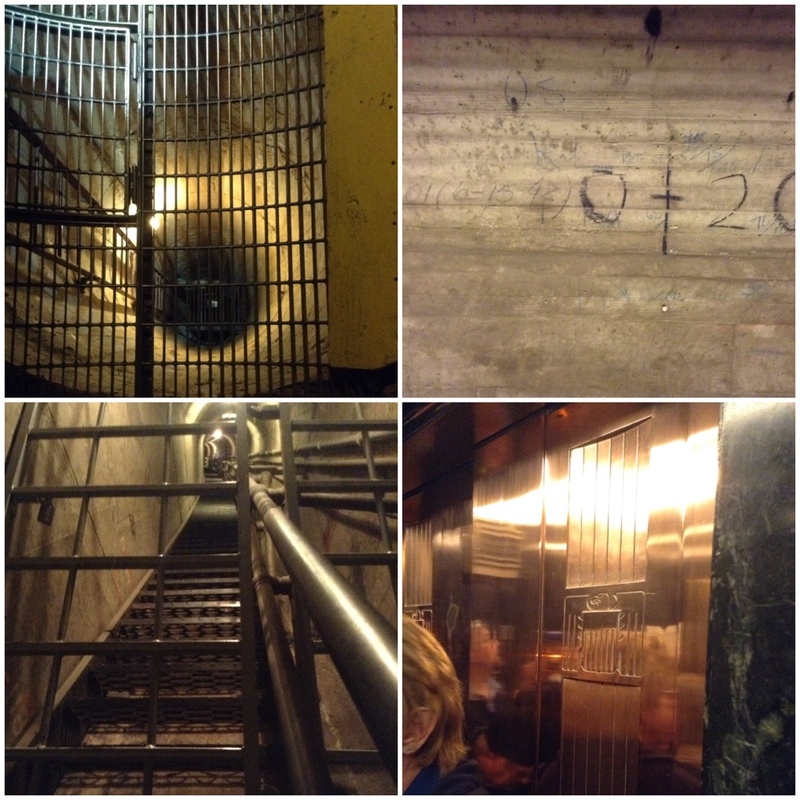 The air vent is roughly 100ft above water level and wall around 300ft thick. Air vents are/were for curing the concrete, core samples continue to be taken today to ensure it is progressing as it should be. Survey markers and tripods used to check the curvature of the dam for flex after earthquakes or water level changes. Now measurements are taken 3-5 years. AND might I add, this was built to withstand an 8.5 magnitude earthquake. You can still see the markings from the timber used for the framing of all the tunnels. Once used, it was stripped and then used in Boulder City to make the workers houses. It was said that a man could start shift and by the time he finished he did not know which was his house as 5-6 more had been built in the day. It was decided that construction of this magnitude should include someone from every state in the United States. This was achieved by men or materials used in the construction of the dam. Last but not least, most of the large dams in the US are entities in their own right and taken care of by the Bureau of Reclamation. Therefore the Hoover Dam is owned by neither state, NV or AZ but by the nation. If you ever get out this way, make a visit, it is an incredible sight. 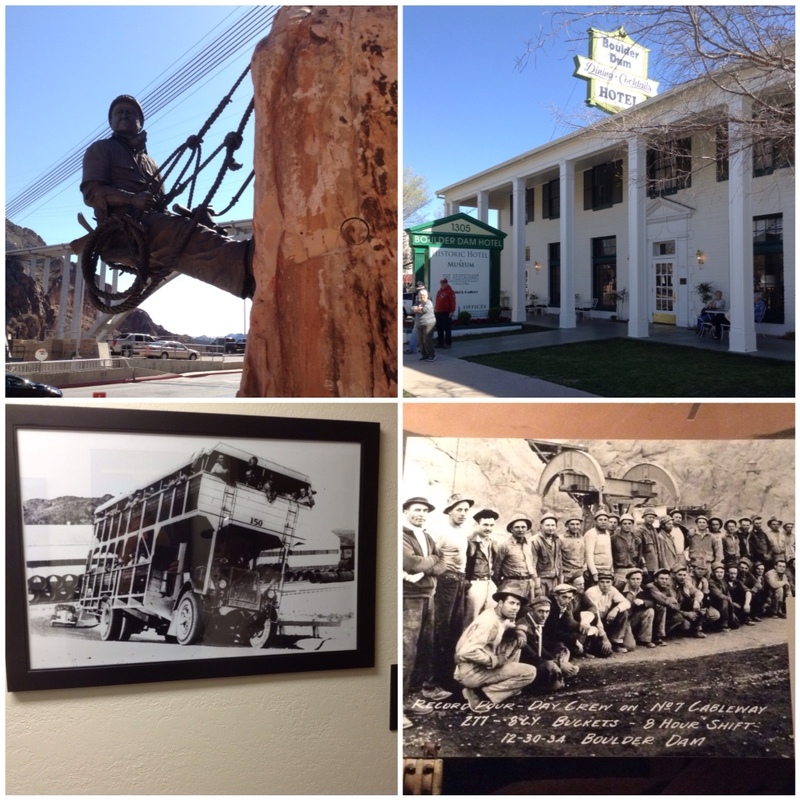 We did get to the Boulder Dam Hotel and it’s Museum as well! P.S. 4 intake towers! Not 1 but 4!